I love the day before Thanksgiving! Getting ready today took extra long because I couldn’t help myself from chatting with everyone about their holiday plans. We’re all in such a good mood. And to top it off, this little guy showed up at my desk! The folks at Bloomingdales are so good. First, they provided the clothes for one of our Ambush Makeovers recently. Then they send me this little surprise! Do I dare take him on the plane with me today? Jennifer Valdez says traffic at the airport is already backed up. This little guy will get me through with a smile! And he’ll be the perfect little snuggle buddy for a long weekend of family, turkey and thanks. And with Black Friday looming, why not do some shopping for a good cause? 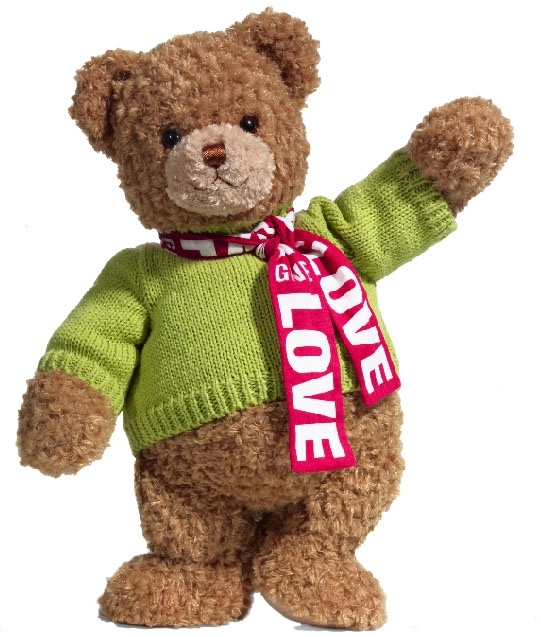 Spend $18 on a Bloomingdale’s Bear, and know that $5 of it goes to the Juvenile Diabetes Research Foundation, or JDRF. 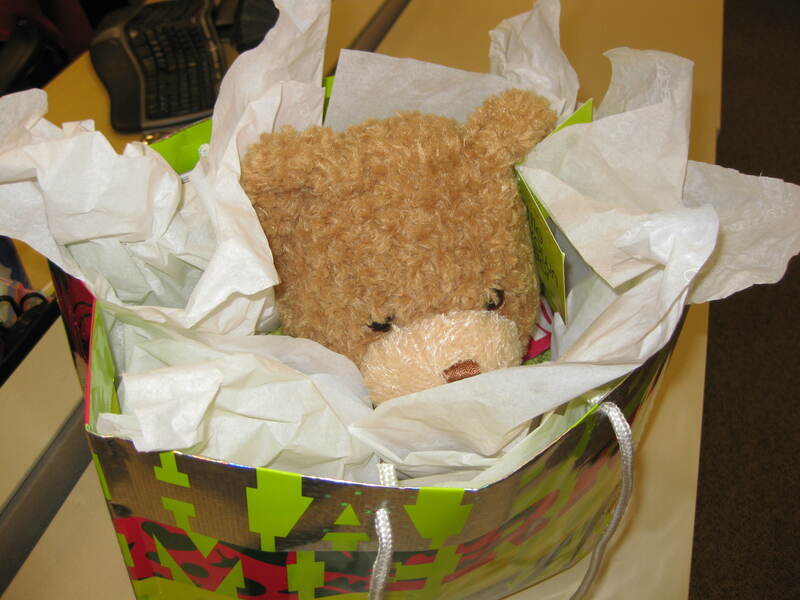 And mark December 11th on your calendar now for a special Children’s Tea Party with the Bloomingdales Bear! 3:30 to 4:30 pm at Lenox, featuring gingerbread house decorating and face painting! And in the mean time — Happy Thanksgiving and safe travels to all my friends in cyberspace! It’s not often that you meet a former Miss USA! I met Lynnette Cole today during one of our ambush makeovers. She’s now the international spokes person for Pur Minerals cosmetics, so she did the makeup. We ambushed a busy mom, so the Pur Minerals line is perfect for her — foundation, concealer, SPF and finishing powder, all in one product! Add to that some of their silky smooth eyeliner, and a dash from their delicious palate of eye shadows, and she’ll be out the door in no time. Click here to see the full makeover, complete with some of Lynnette’s expert tips. Click here to see last week’s ambush. Love my pink jacket? Designed by girlfriend Vanessa Vinci, right here in Atlanta! La’Keitha Daniels was shopping with her nieces Friday, when we ambushed her for a make over — Better Mornings Atlanta – style! New clothes head to tow, plush hair and make up. You are currently browsing the archives for the Ambush Make Overs category.